Mother’s Day is just around the corner for all those UK folks on the other side of the Atlantic. Being a bit of an expat, it can be quite a hassle to get hold of Mother’s Day cards amongst other things. Canadian’s and American’s aim to please mothers in May. Not cool, if you ask me, which you didn’t. This year, I’m actually going to be with my mum on the big day, which is pretty exciting. I’ve still been struggling for cheaper-than-overpaying-at-a-crowded-restaurant idea. Then it struck me: Afternoon Tea or High Tea (there is a difference but for this purpose, I’m not particularly interested in differentiating). Follow the links below and gather all the foods you need, follow the recipes and store until the big day. On the big day, cut the sandwiches into tiny pieces, pile them up on a pretty plate and add a garnish of watercress here and there. Cut up the cakes and the shortbread into tiny pieces, add them to a separate plate. Put the kettle on and make a big pot of tea. 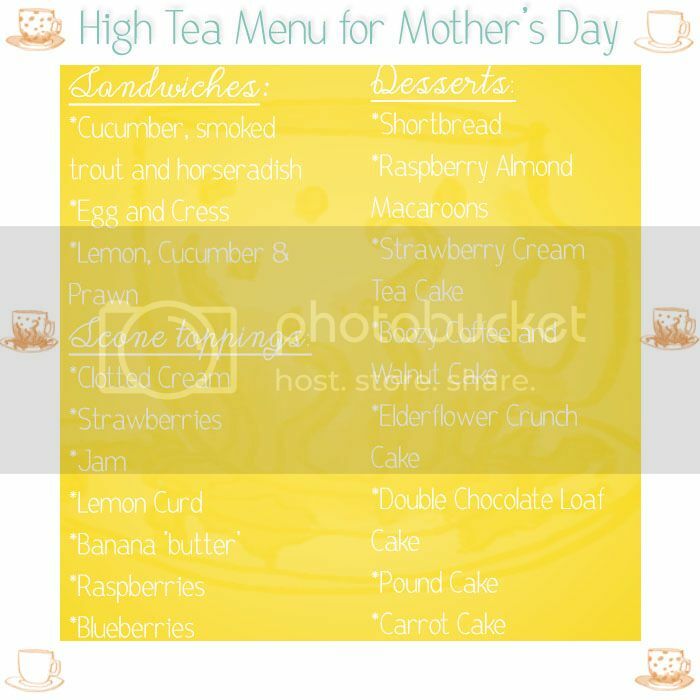 Lavish your momma with love, hugs, foods and giggles. Sandwiches 1, 2, and 3. Scones, Lemon Curd, Shortbread, Raspberry Almond Macaroons, Strawberry Cream Tea Cake, Boozy Coffee and Walnut Cake, Elderflower Crunch Cake, Double Chocolate Loaf Cake, Pound Cake, Carrot Cake. 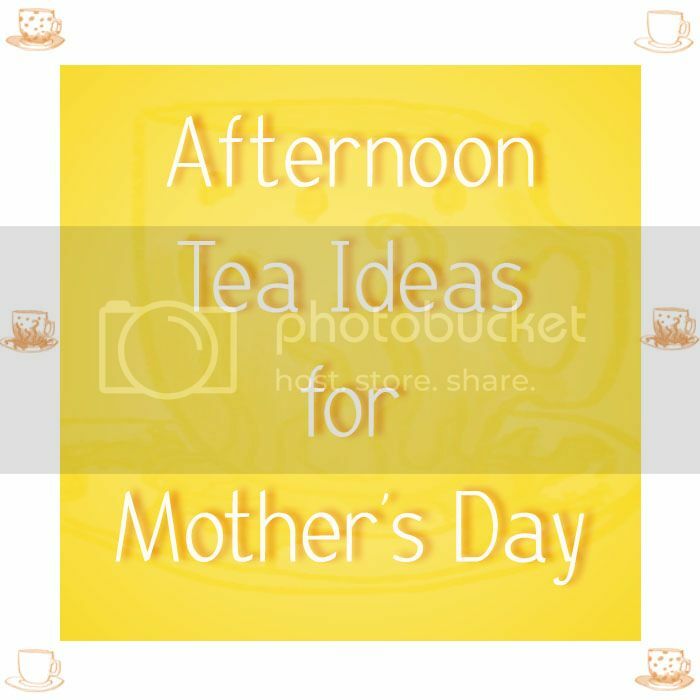 I love afternoon tea, and I am so excited to do this come mother’s day. Ha, I say me but really I am going to utilise the skills of my baking sister, she just doesn’t know it yet. Has anyone else ever made up an afternoon tea?